Click here for our guide to the UK antique and collectors fairs we have stood at. We stand at a variety of antique fairs around the UK, but do not have a fixed schedule of fairs. 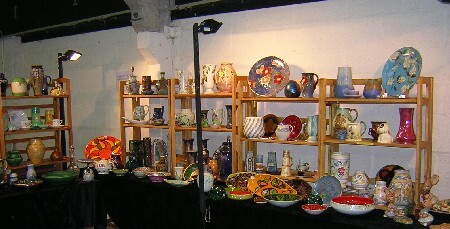 Full details of antique and collectables fairs we will be standing will always be listed on this page, and should you ever want us to bring a particular piece of pottery along to an antique fair just let us know. We do not currently have any antique fairs booked. Please look back soon.